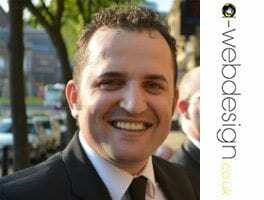 About a-webdesign: Alpha-Design is based in Manchester. With over six years of experience in design and programming, we combine our creative and technical expertise to provide a customised solution for each individual client. All our websites are bespoke and therefore you will be able to maintain them, improve them and convert them into e-commerce at a later day or even install them onto any server or any platform. We work across a wide range of disciplines, including web design, web development, search engine optimisation (SEO), databases, hosting, domain registration, e-commerce, flash, HTML5, galleries, content management systems for existing or new websites, logos, mobile apps, Cross-platform applications, print and we always work closely with our customers through all the stages of the creative process. We are dedicated to helping our clients achieve successful solutions; as a result, the majority of our clients use our services for all their design and development needs. We have developed bespoke, easy to use, secure and reliable databases for big firms including Easy Com, ON TV UK ltd and English Excel. We provide reliable servers that guarantee 99.9% uptime to ensure that our clients are fully satisfy with Alpha Design. No other company will provide you with Alpha quality service. Our 24 hour support is always happy to help you with any technical issues you may have and resolve them as quickly as possible. Whether you are a complete novice or a computer expert, we will provide you with appropriate support.